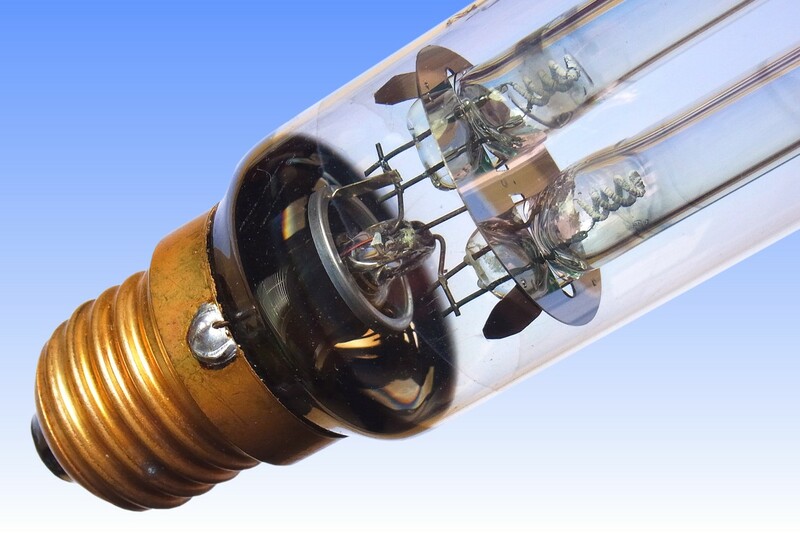 Following the development of the first Philips Mini-SOX 18W lamp of 1977, and the even smaller Osram-GEC SOX 10W a few years later, PHilips began a project to maximise the efficacy of miniature low pressure sodium lamps. The sample featured here is one of the resulting prototypes. 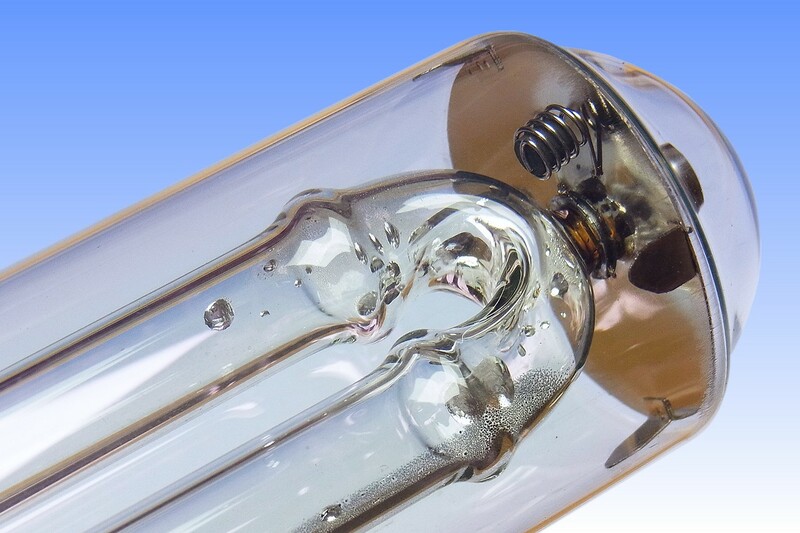 A key feature is its very narrow diameter discharge tube, measuring just 7mm internally. This allowed a reduction in lamp current, and hence discharge current density, with a knock-on benefit for luminous efficacy. 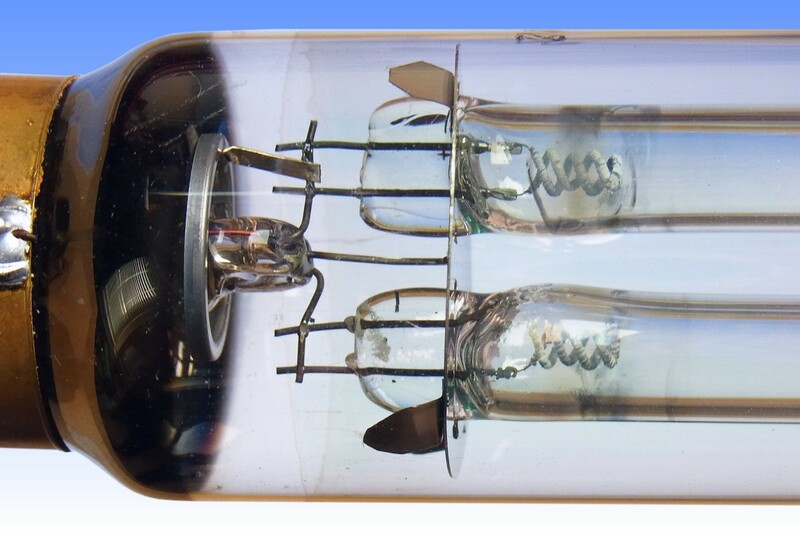 To achieve a given power dissipation with such low current density, it was of course necessary to increase the length of the discharge tube. 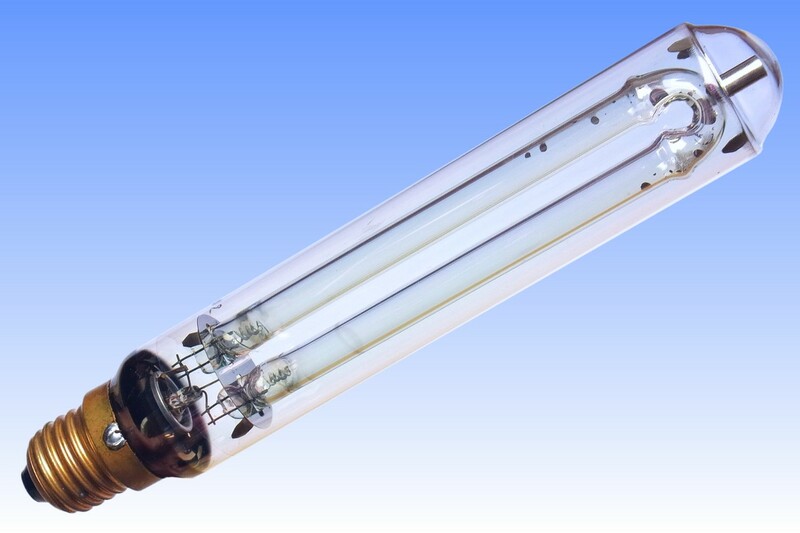 Keeping such a large discharge tube of low power dissipation warm enough for the sodium vapour pressure to build up to the level required for optimum efficacy meant that thermal insulation of this lamp had to be maximised. 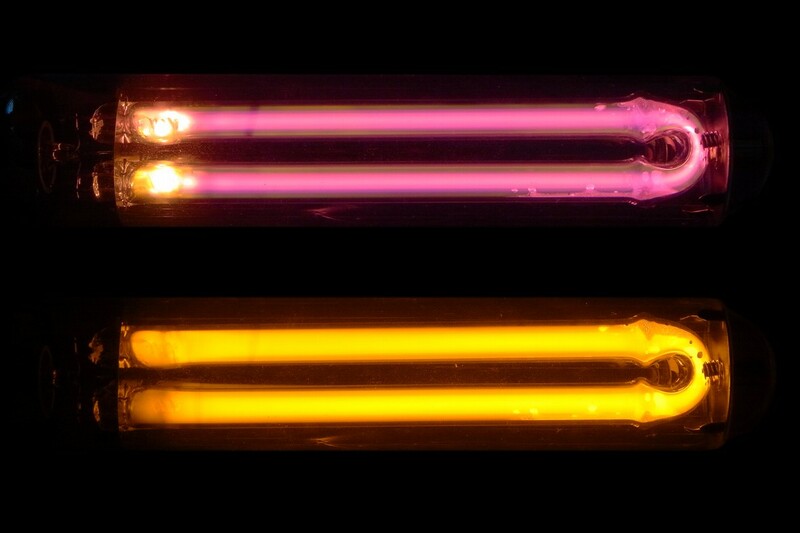 That has been achieved by a specially enhanced indium-tin oxide coating having an electrical resistance of about 5 ohms per square, similar to that employed on SOX-E lamps. A nickel plated steel heat-reflection disc provides additional insulation at the U-bend, and this supports a small platinum catalyst pellet which breaks down hyrdocarbon vapours in the outer bulb such that they can be removed by the barium getter near the cap, thereby limiting thermal conduction and convection losses. The lamp is unusually equipped with an E27 screw cap. Philips experimented with various designs having powers from about 8W to 25W, but the concept was never commercialised - perhaps because of the relatively small energy saving vs traditional SOX lamps. 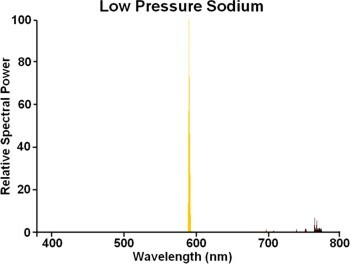 References: 1) US Patent 4,441,045 "Low Pressure Sodium Vapour Lamp", 1984.